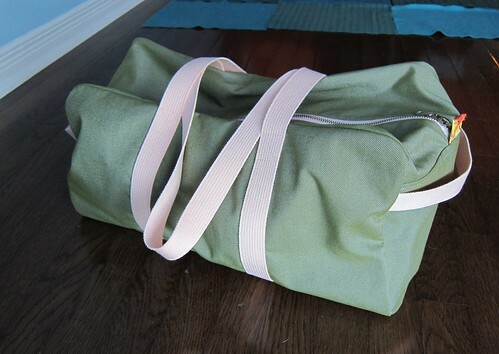 I finished my duffle bag this weekend and I have to say, there is something about making a bag that gets me every time. I always find that as I sew along, I look at all of the fraying seams and bits that don't line up just right and somehow convince myself that the bag will probably look like the sewing equivalent of a child's macaroni craft. Once you get that final seam sewn, you turn it inside out and amazingly, the pile of fabric somehow turned into a useful and totally awesome bag. I used some old green and blue denim I bought at my local Fabricland a few years ago when I thought I might try my hand at making a pair of shorts for the summer. 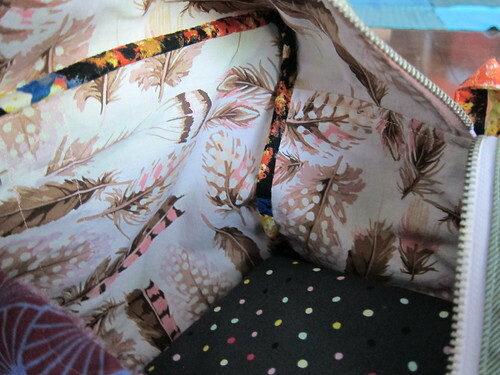 I used some of the leftover feather fabric from my Wiksten Tank for the lining and added a few hints of the New York print from Jay McCarroll's City Centre collection for the zipper pull tabs and seam binding. The pattern was put together by bag maker extraordinaire, Guy Latulippe. 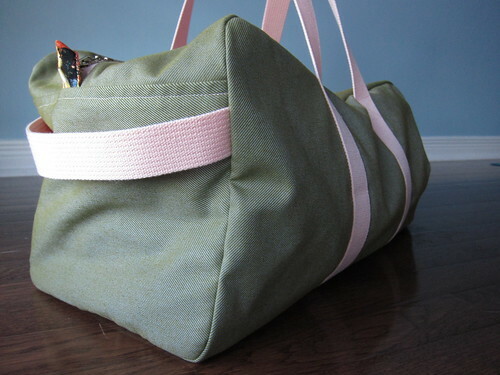 He just released his series of duffle patterns in all different sizes. The pattern is pretty straightforward and totally satisfying. I've already bought some gold glitter denim to make a second one.